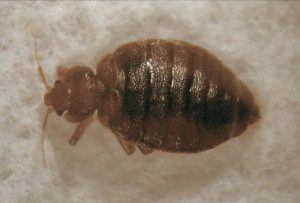 Home » Bed Bugs » Do Bed Bugs Carry Disease? What Diseases Do Bed Bugs Carry? Do Bed Bugs Cause Allergies? What Sort of Reaction Might I Have to a Bed Bug Bite? What Should I Do About a Bed Bug Infestation? While bed bugs are a pain, known for causing small, itchy bumps on your body while you sleep at night. But do they carry diseases? For a while now it wasn’t believed that bed bugs caused any diseases or any long-term problems. However, scientists now suggest that bed bug bites may do more harm than we previously thought. Regardless if they do or not, bed bugs can cause you a lot of problems. So, if you are having a bed bug problem, contact a bed bug exterminator right away. Common bed bugs are believed to carry over forty different disease-causing pathogens, and of which can affect humans. While bed bugs don’t transmit disease to humans as easily as other pests such as as mosquitoes, but their feces provides an easy channel for disease transmission. Most notably, researchers have found that bed bugs can carry Trypanosoma cruzi which is the type of parasite that causes Chagas disease. This disease is most commonly found in tropical areas of the world. It is most commonly found in Mexico, Central America, and South America. The disease can cause fever, swelling, and heart problems, and the symptoms can range from mild to life-threatening. What’s even more threatening is the fact that bed bugs can induce allergies in many people. Individuals who have asthma or other sensitivities may experience severe, in some cases life-threatening reactions, such as trouble breathing, swelling, and excessive itching. This is because bed bugs release histamine in their feces. Bed bug feces, which can linger long after an infestation has been eradicated, can cause reactions for years later. In fact, histamine levels in homes with bed bug infestations were roughly 20 times higher than those in homes without bed bugs. Most people won’t experience such a severe reaction to a bed bug bite. However, they can cause ailments including: Leprosy, Q-Fever, and Brucellosis. They can also cause a secondary infection if their bites are not cleaned and disinfected. This is particularly common in children, the immunosuppressed, and the elderly. Normally, bed bug bites cause itching, swelling, and blister-like lesions. But you can also become extremely psychologically stressed when you have a bed bug infestation. This usually results in loss of sleep lowering your quality of life. Wash your clothes in the hottest possible setting. Dry your clothes in the hottest setting as well. Seal your clothes in an airtight plastic bag when traveling, and wash your clothes immediately upon your return. Do not leave suitcases or clothing on the floor, where the bugs can hitch a ride without you realizing it. You might realize you have an infestation when you notice spots of blood on your sheets, leftovers from where the pests were feeding. If you begin to spot itchy bumps popping up on your legs, arms, and other extremities is another sign of a bed bug infestation. If you have any signs of bed bug bites, make sure you immediately contact your physician. 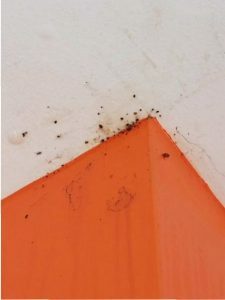 Often times bed bug bites are easily mistaken with bites from other insects such as ticks. So, it is exceptionally important that you know exactly what kind of insect bite you are dealing with so that you can treat them properly. Are you dealing with a bed bug infestation? Maybe you are worried about a potential infestation? Don’t try to deal with bed bugs on your own with expensive and ineffective DIY methods. Instead, hire a professional pest control service to get rid of your bed bug problem. 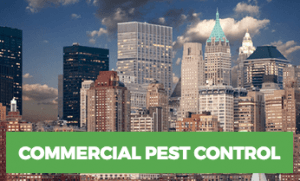 You can rely on Rest Easy Pest Control to effectively eliminate bed bugs or any pest you might be having a problem with. We can not only help rid you of your current pest problems, but we also help you to prevent any future infestations. We use a combination of natural and chemical methods. Regardless of which, all of our treatments are safe for humans, and the environment. Also, we don’t just look at a one-time solution to your problem. 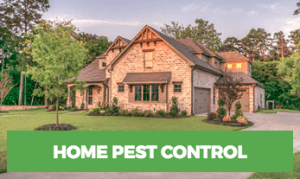 We focus on how the pests arrived in your home in the first place, and develop an effective plan to keep them from coming back into your home. Bat Bug vs. Bed Bug: What Is the Difference? NYC Bed Bugs: Subways Are Infested!